Where does this Long Beach native go over and over? Sure, there's the Queen Mary and The Pike. Heck, Disneyland is only 20 minutes away. Catalina Island is a beautiful day (or longer) trip, too. There are really fancy restaurants and great dive bars. Coincidentally or consequently, there are also hundreds of AA meetings that are very well attended by a lot of swell people trudging the road to happy destiny (wink, wink). Anyway, you can find all that other stuff easily enough. If you like to get the feel of living in a place, though (without having to go to a job or anything), here are my recommendations for several fun things to do and a few places where I've had consistently delicious food for years. Have a fine time in the town that was once known as Iowa-by-the-Sea and was home to the largest Iowa picnic in the country, as I recall. LBMA is just above this spot and a little bit west. is situated on a bluff overlooking the ocean. It's worth it for the house and setting alone but there is always a lovely and interesting exhibit as well as a substantial permanent collection. The house was built in the early 1900s and has an interesting history that you can find out all about when you visit. Be sure to check for events that might be taking place when you visit. Also, go to the basement in the newer building. Any time I've been down there, there has been wonderful children's art work and I don't want you to miss that. About 2 miles from LBMA, you'll find the Museum of Latin American Art. This local treasure is in the place that was the Hippodrome Skating Rink when I was a kid. MOLAA opened in the 1990s and has at least doubled in size since that time. Their exhibits as well as their permanent collection are always breathtaking. Also, there is a sculpture garden that is stunning. As with LBMA, MOLAA often has great workshops as well as entertainment in their sculpture gardens. 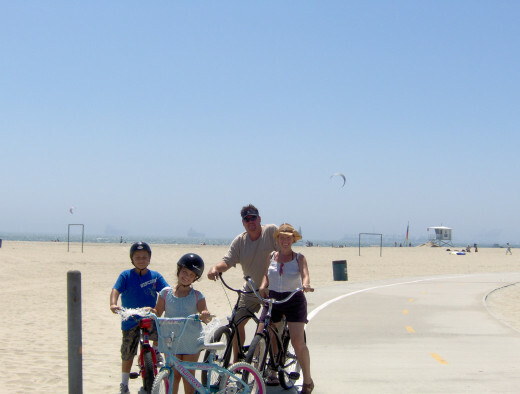 Enjoy that beautiful bike path on the beach! Of course, I always had a bicycle when I lived in Long Beach but now I need to borrow or rent one. Alfredo's is the way to go. With a few different locations and a few different modes of transportation available, you can ride, skate or boat the afternoon away. Unlike the bike path around Stanley Park in Vancouver, B.C., it is impossible to get too far away or get lost on the beach path in Long Beach. 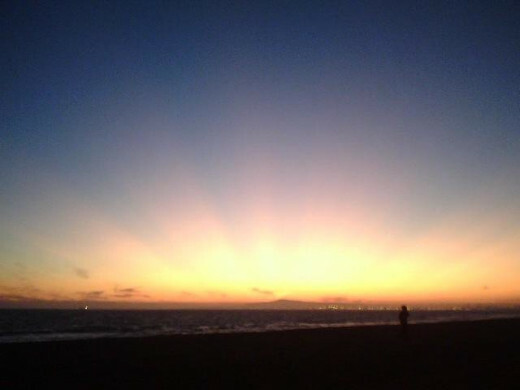 Even if you don't rent anything, please take walks on the beach. There's a pedestrian lane on the path if you don't want to walk on the sand. I have been eating here since there was only the original takeout location. Now, with several restaurants all over town, I still crave it 40 years later. The carnitas platter, number 11, is my usual order but I do love their chile rellenos and everything else I've ever tasted, which is about everything on the menu by now. If you're a burrito lover, do yourself this favor. The downtown original location and the 2nd Street Belmont Shore restaurant are my usuals. For big family get togethers, we usually meet at the Candlewood location. This is where my CSULB graduation party was held. The service is always friendly are they are awesome with a crowd. Don't be discouraged by a wait. There's a good reason for that line. 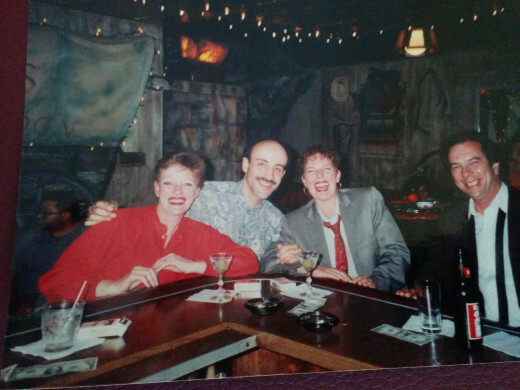 Max and me, meeting new friends over martinis at the Prospector in what looks to have been the 80's. A little lighter? fancier? perhaps Mediterranean? Open Sesame http://www.opensesamegrill.com/ has long been recognized for their exquisite Middle Eastern menu, authentically prepared and beautifully served. On 2nd Street in Belmont Shore, it's part of a long stretch of bars and restaurants. Open Sesame has been so popular over the years that it has taken over the corner spot, as well. Unlike most expansions, this one is up the block. I have enjoyed many leisurely and immensely satisfying dinners, as well as the occasional lunch, with loved ones at this excellent restaurant. Whatever on the menu appeals most to you will be delicious. I promise. 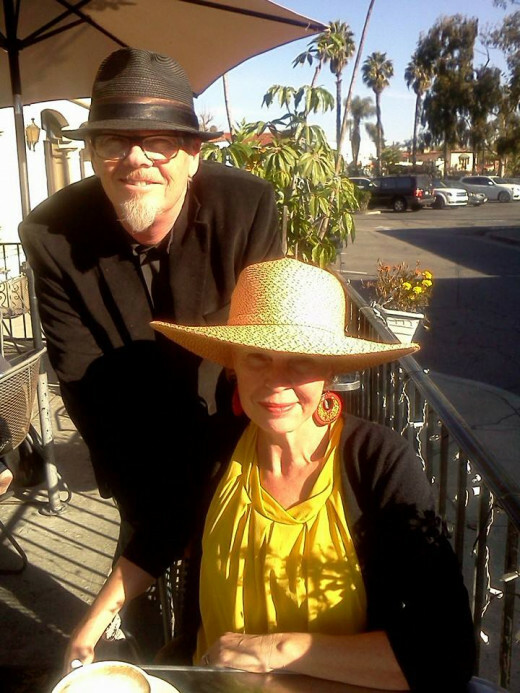 The Captain and I on our 10th anniversary morning at Babette's, where we've gone for many special occasion morning feasts. I've fallen in love with and been jilted by many breakfast places over the years but this one is going to last; I just know it. Just west of Open Sesame and within a block of Super Mex, is Babette's Feast (4621 E. 2nd Street) where you can enjoy a European-inspired selection of baked goods, espresso drinks, and full breakfasts. I'll tell you the truth, the service is not great - HOWEVER - the food is always a treat and the location, behind the flower cart on the corner is just so nice. Whether I just want a croissant and a latte or a goat cheese and something omelette, I'm always happy with what's on my plate at this sweet little spot. Also, there always seems to be such a pleasant bunch of people eating in the sunshine. Who wouldn't be happy, really? Look behind the flower cart for Babette's Feast. You'll find Super Mex and Open Sesame within a couple of blocks of here, too. A little outdoor, ocean view yoga? O.k., I've never actually made it to one of these yoga classes but I've seen them a few times and will make a point of going on my next trip. People bring their kids and dogs which, if you love that, is awesome and if you don't, you might want to pass on this option. Have a bonfire at the beach! My list is brief but long enough for our purposes today. Other places I love to visit that you might want to look into for yourself are Olvera Street and Chinatown in Los Angeles. They're right next to each other and you can get there on the metro. While you're there, visit the Homegirl Cafe, part of Homeboy Industries. The mission and atmosphere is enough but, as it happens, the food is fantastic. What?! You've never heard of Homeboy Industries?! Please check it out. After hearing Father Greg Boyle speak a few years ago, I looked forward to visiting on my next trip. I ate there 4 out of 7 days that week, each time with a local friend, each of whom have been eating there regularly ever since. Check this out. You'll want to go, too. This article totally made me miss Long Beach. I went to CSULB for school and loved my time there. Sadly, I had to move away after college, but it will always have a special place in my heart. I loved strolling down Second Street, eating at Sushi Studio, going to the Aquarium, sailing in Belmont Shores, and surfing next door in Seal Beach. It was the good life! I'd wake up at 5 am and surf before 8am calculus. Not a bad way of life! I loved all of the culture and arts, especially the coffee houses and open poetry nights. Seriously, I'm going to spend the rest of my life trying to get back down there. Very nice hub!! 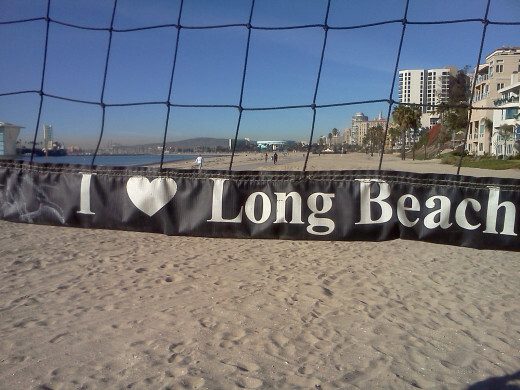 I have never been to Long Beach but would bring this with me if I did..good job!